I got off track with traveling last week, but this week I’m back and have lots to share! 1. NaKniSweMo Completed! You won’t be seeing this sweater on the blog anymore because it’s done. I worked on it on the way out California and finished before we headed home. I LOVE this sweater. I still wish the back ended in a point, but I’m so pleased with the fit and I adore the yarn. I expect I’ll get lots of use out of this cozy, squishy sweater. 2. Holiday Shopping. I didn’t participate in much in the way of Black Friday shopping, but I did pick up a few things for the Itty Bitty Knitty Committee (my knitting group of 10+ years). 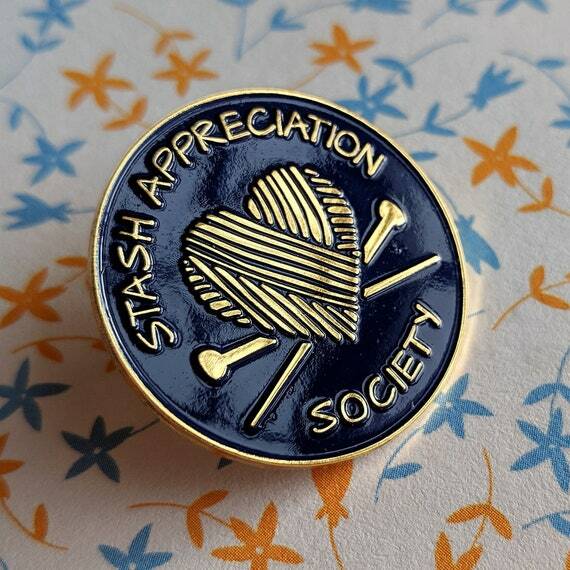 I could resist grabbing a bunch of these adorable Stash Appreciation Society pins from Shop Louleigh. 3. Warm Socks. While we were out of town Kansas City had a blizzard! Nothing makes me knit and spin faster than cold weather. I’m on a mission to knit some handspun socks. My favorite fiber for spinning for socks is Corriedale – it’s just the right amount of crisp to produce harder wearing socks, but soft enough that my special snowflake feet don’t get itchy. 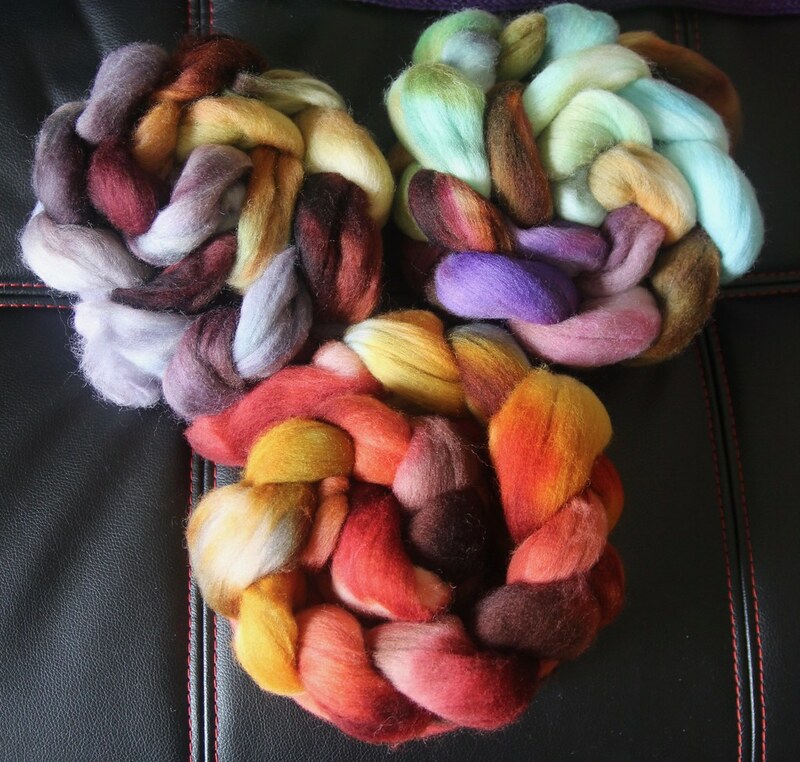 What’s your favorite fiber for sock yarn? 4. In My Mug. This week I’m enjoying Tea Embassy’s Capital Blend. 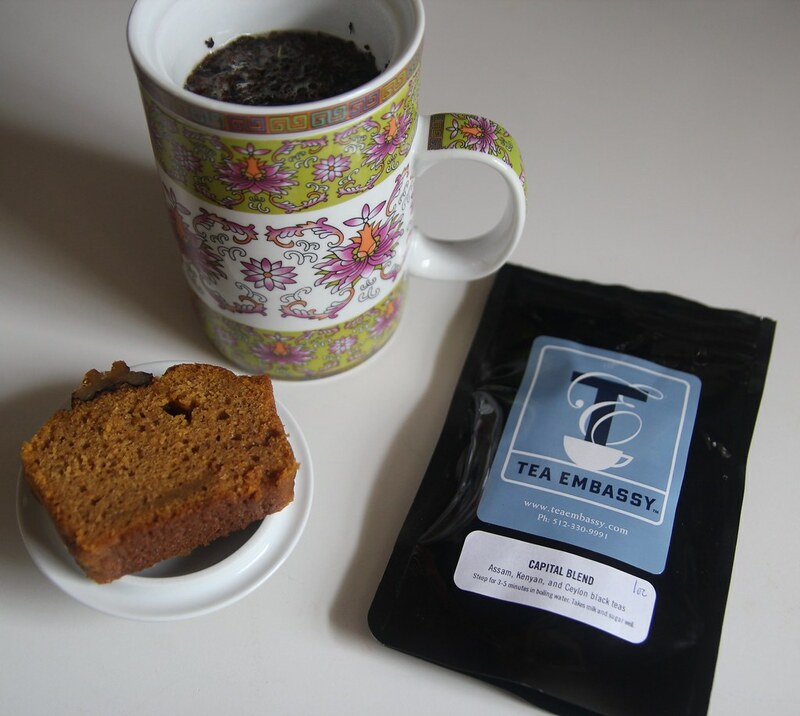 It’s a mix of black teas and is the perfect pick me up in the afternoon with a slice of my mom’s pumpkin bread – making Thanksgiving treats last as long as I can! 5. What I’m Reading. I’m currently in the middle of two books: First We Make the Beast Beautiful by Sarah Wilson and Circe by Madeline Miller. Sarah Wilson is best known for her sugar-free diet, but this book focuses on her battle with anxiety and her exploration in ways to allevaite her anxiety. I suffer from anxiety as well, and this book has given me some good food for thought. I can’t decide whether I like the book or not – the author says a lot of things I disagree with, but at the same time a lot of what she says has made me think more deeply about how I react to my own anxiety and I’ve used a few of her tips to make myself feel more centered. Holidays and the year end always make me more anxious, so I’m appreciating that. The second book, Circe, is devoted to the goddess Circe from the Odyssey, and is a really engrossing retelling of the story from a different perspective. I gravitate towards books that delve into the unexplored areas of more epic stories, and while I haven’t read much mythology I’m enjoying this one and not feeling hindered by my scant background. 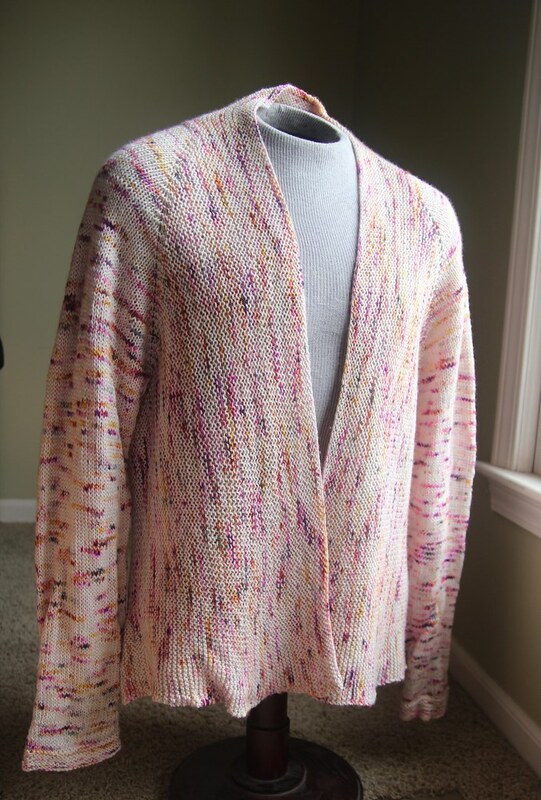 Will you be publishing the pattern for your NaKniSweMo sweater? The pattern is Waits by Bristol Ivy. It’s available on Ravelry. Thanks! Next Episode 208: Channeling my inner flamingo.